More than 700 migrants are feared dead in three Mediterranean Sea shipwrecks off southern Italy in the last few days as they tried to reach Europe in unseaworthy boats, according to the UN refugee agency. Carlotta Sami, spokeswoman for UNHCR, said on Sunday that an estimated 100 people were missing from a smugglers’ boat that capsized on Wednesday. The Italian navy took horrific pictures of that capsizing as it attempted to rescue survivors. She said about 550 others were missing from a smuggling boat that capsized on Thursday morning after leaving the western Libyan port of Sabratha a day earlier. She said refugees said that boat, which was carrying about 670 people, did not have an engine and was being towed by another packed smuggling boat before it capsized. 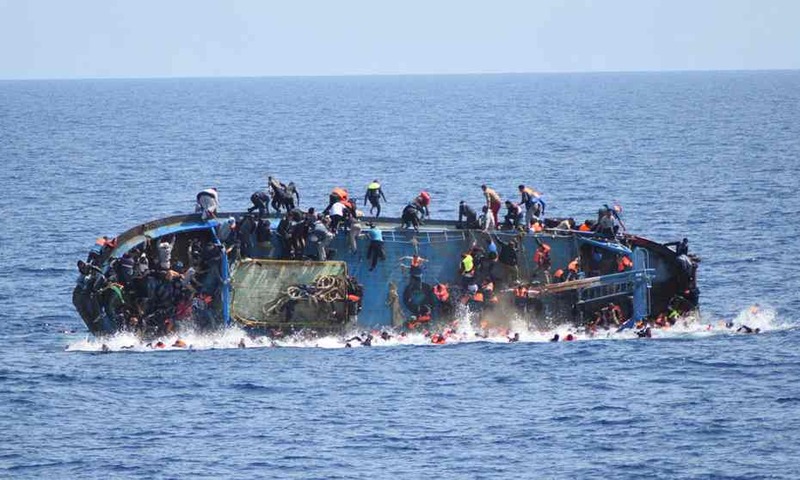 About 25 people from the capsized boat managed to reach the first boat while 79 others were rescued by international patrol boats and 15 bodies were recovered. In a third shipwreck on Friday, Sami said 135 people were rescued, 45 bodies recovered and an unknown number of people – many more, the migrants say – were missing. Survivors were being taken to the Italian ports of Taranto and Pozzallo. Sami said the UN agency was trying to gather further information. Italy’s southern islands are the main destinations for countless numbers of smuggling boats launched from Libya each week packed with people seeking jobs and safety in Europe. Hundreds of migrants drown each year attempting the dangerous Mediterranean Sea crossing.